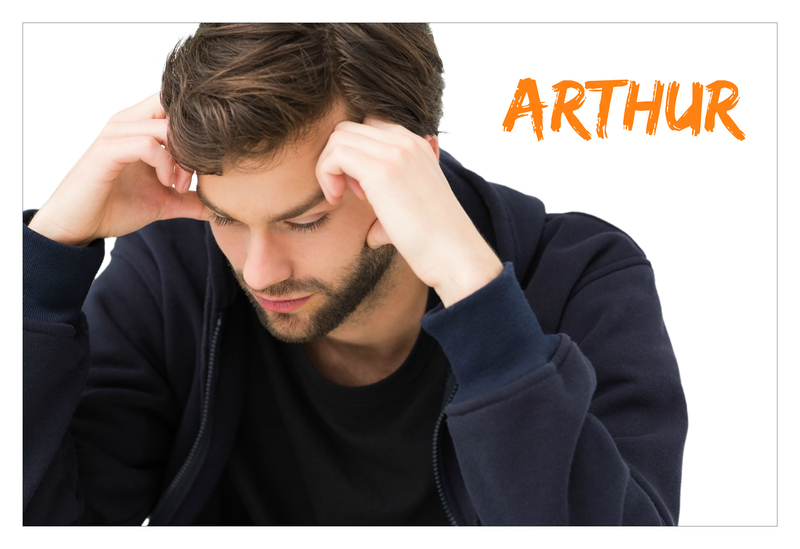 Arthur Cain has removed himself from a social life littered with mistakes and unhappiness. When a freak April snowstorm hits, he just wants to stock up on the basics so he can get back to writing his thesis. Samuel Richards is a musician with a wicked sense of humor and he knows how to use it. The last thing he expected was to have it save him when he heads out for supplies and everything falls apart. The storm sends both to the grocery store, but neither had a “date” on their shopping list. 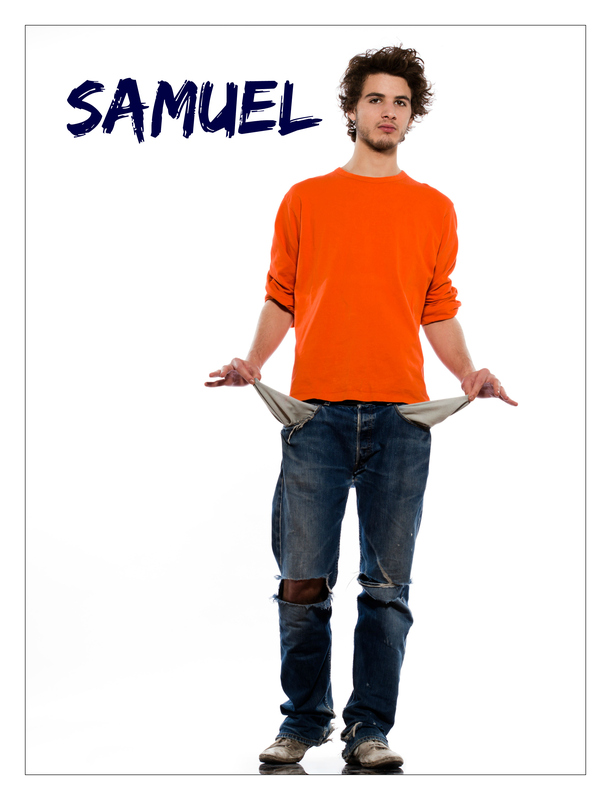 It’s one disaster after another for Samuel, but the history student comes to his rescue. If only Arthur was as good dealing with live men as he was with dead Vikings. He glanced at the rapidly emptying shelves and sighed heavily. With some effort, he finally squeezed through the traffic snarl and reached for the last loaf of bread right as another hand closed in on it. His gaze flew to the man beside him. He looked to be in his mid-twenties, like Arthur, but taller and lankier. His brown hair was curly and long-ish, sticking up every which way. He had brown eyes and scruffy facial hair. His grin nearly made Arthur let go of the bread. “Uhm, I think this was mine,” the cute guy said, tugging on the loaf. “No, pretty sure it was mine,” Arthur protested, tightening his grip. He always rewarded a particularly productive day’s work with grilled cheese and tomato soup. “You could get raisin bread,” the other guy suggested. On second thought, maybe that didn’t sound so bad. However … “Still gross with tomato soup,” Arthur pointed out, gesturing to the half dozen cans in his cart with the hand that wasn’t clutching the bread. “Maybe.” The answering grin was cheeky. Arthur and Samuel’s story began on Facebook. In the midst of a discussion about weather, the topic of people panicking before a storm and rushing out to stock up on bread, milk, and eggs came up. 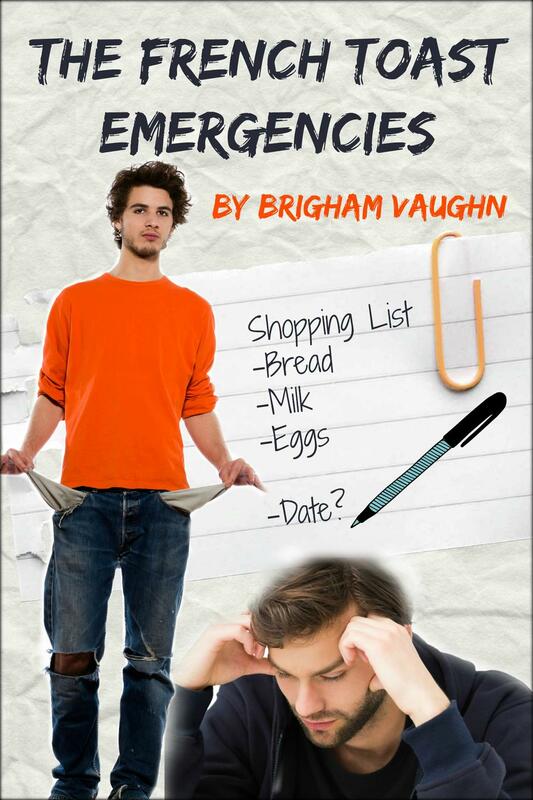 Allison Hickman used the phrase “French Toast Emergencies” to describe it, and a story title was born. We joked around a little and a plot jumped into my head. It didn’t take long for the ideas to start rolling and Allison was a huge help through the whole process. I was so flattered when she asked to pre-read for me and she did a fantastic job at it, pointing out a few areas that needed tweaking. It’s a much stronger story because of it and I am so grateful for all of her help. As always, Shelly gave me fantastic reactions to the characters and Sally did a beautiful job editing. Sally claims I’ve found my niche in stories combining food, humor, and sweet men. What do you think? All Romance is offering a great sale to celebrate Earth Day! All of my books are 50%* and the best part is, I still get full royalties! So you get short stories for $1.50 while I get paid $1.79. Now that’s a good deal! It’s only good for today though, so hurry! Easter Egg Hunt Day Two! Today is Day Two of Rainbow Gold Reviews’ Easter egg hunt. I’m giving away a copy of Geeks, Nerds, and Cuddles, and The Wine Tasting Series (3 Story Bundle). There are a ton of other authors giving aways their books too so it’s definitely something you’ll want to check out! Click on the picture below to see the complete rules and how to enter on their site. Today’s theme is “military” so you need to read through my previous blog posts and see if you can find a word or phrase relating to that theme that makes absolutely no sense in context of the sentence. Once you find it, go back to Rainbow Gold Review’s site and submit it to enter your chance to win. Winners will be drawn at the end of the game. I can give you the synopsis and try to tell you how this series touched me, but it will be wholly inadequate. As a writer, I should be able to articulate how the story made me feel, but I’m mute, struggling to find the words. It was beautiful and heart-wrenching all at once. The characters of Joe and Ellis , along with Rudy and Danny will linger with me for a long time. At its most basic level the series was a supernatural thriller and gay romance, but that barely scratches the surface. The depth of the story amazed me and I cried for the characters a number of times. I can think of few stories that have made me so desperately want the main characters to end up together despite the obstacles in their way. I DEVOURED the first two books but I had to put Book 3 aside for a short while because I was so terrified of what was coming. It was truly one of the best things I’ve read in a very long time. It was an unusual story and although it wasn’t easy to get through, it was so worth it. Angsty but beautiful and something you really, really need to put on your TBR list. Oh, and Boys in Our Books is giving away multiple copies so head over there to win either the entire series or the first book! Rainbow Gold Reviews is doing an Easter egg hunt and giving away tons of great gifts! I’m giving away a copy of Geeks, Nerds, and Cuddles, and The Wine Tasting Series (3 Story Bundle). There are a ton of other authors giving aways their books too so it’s definitely something you’ll want to check out! I will be participating today, April 15, and Friday, April 18. Today’s theme is “books that break our hearts” so you need to read through my previous blog posts and see if you can find a word relating to that theme that makes absolutely no sense in context of the sentence. Once you find it, go back to Rainbow Gold Review’s site and submit it to enter your chance to win. Winners will be drawn at the end of the game. The Wine Tasting Series (3 Story Bundle) is a single book containing all three of the short stories in the Wine Tasting Series. Spit or Swallow, Aftertaste, and Finish are all included! Spit or Swallow – Sean Powell, a wine distributor in his early forties, is having a terrible day. To top things off, his longtime friend, the sommelier at his favorite restaurant, has been replaced by a hot young sommelier with big ideas. Lucas Spencer is determined to liven up the staid and stodgy wine list, but manages to alienate the distributor during their first meeting. Can the two blend their professional frustration and personal attraction without risking their careers? 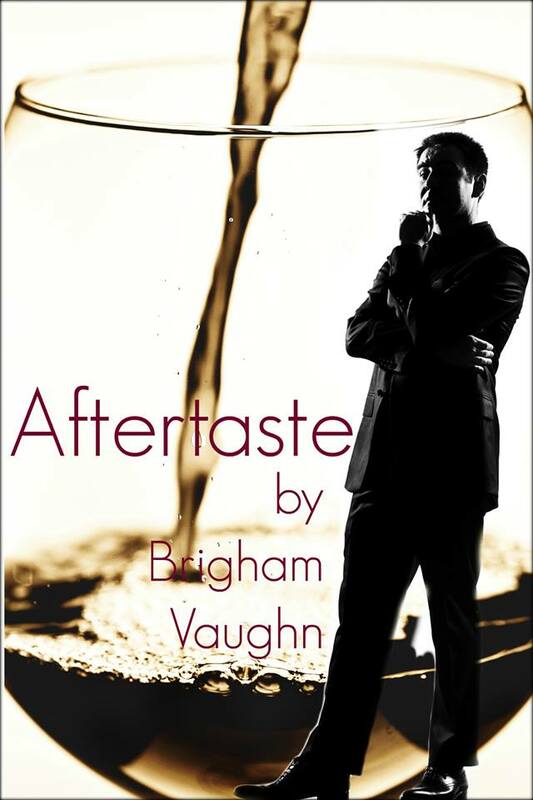 Aftertaste – Despite sizzling chemistry when they first met, Sean Powell can’t quite believe that the gorgeous young sommelier at Bistro Argent wants him. Anxious about risking his job, Lucas Spencer must decide if the handsome, red-headed wine distributor is worth the risk. Balancing a professional relationship with a more personal one is tricky, but it just might be worth the effort. 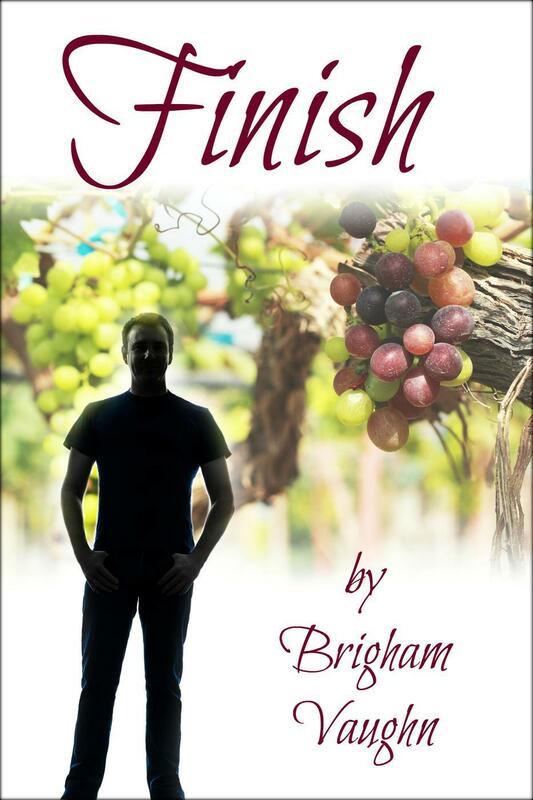 Finish – After four months together, Sean and Lucas have never been happier, but a wine tasting trip to Traverse City, Michigan threatens that stability. Sean’s insecurities rise to the surface as Lucas’ fears of losing Sean lead to jealousy. Can they repair their relationship before it turns sour? It’s a great deal; if you buy the three stories individually, they would cost $8.97, but the bundle is available for $5.99! Altogether, they’re over 35,000 words, so roughly the length of a novella. If you haven’t had a chance to check them out yet, now is the perfect time!